Unglazed and profiled: Some of these tiles will benefit from sealing depending on the porosity of the tile, or in other words, how porous the tile is. As in all situations these tiles will need to be tested for sealing. The main benefit of sealing these tiles is the ease of cleaning after sealing. They will require only a minimum of maintenance after sealing although some outdoor tiles may stain from substances such as leaves, soil and rust if not cleaned immediately. Some tiles are commonly known as vitrified and they usually belong under the porcelain tile banner. These tiles are commonly used in commercial areas including outside and toilet areas. They are noted for their non slip properties but are very hard to clean and keep clean. Most of these tiles cannot be sealed effectively for long term positive results. Polished porcelain: The process of polishing opens up the tiny clay pockets of the tile which will accept stains and therefore need to be treated with a special sealer. 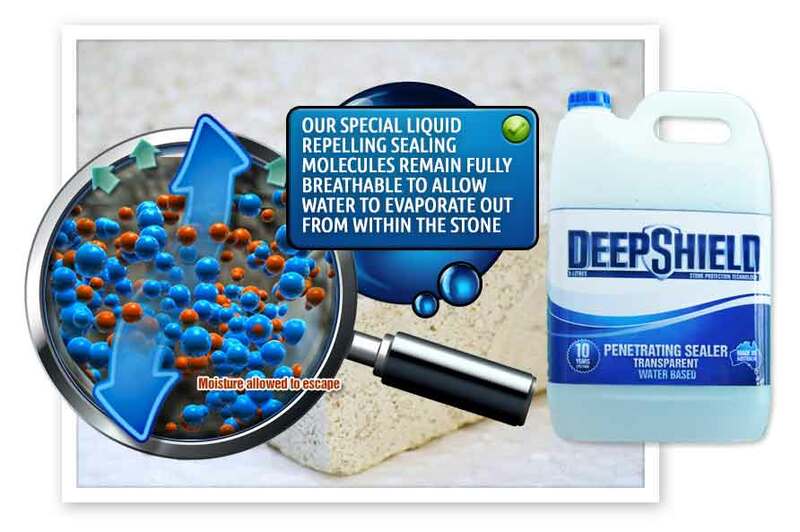 The sealer impregnates and lines the small cavities, prohibiting the penetration of stains. Penetrating sealers do not generally alter the appearance of polished porcelain products since they are designed to only fill the microscopic pores and not coat the tile, nor should they affect the slip resistance of the tile.